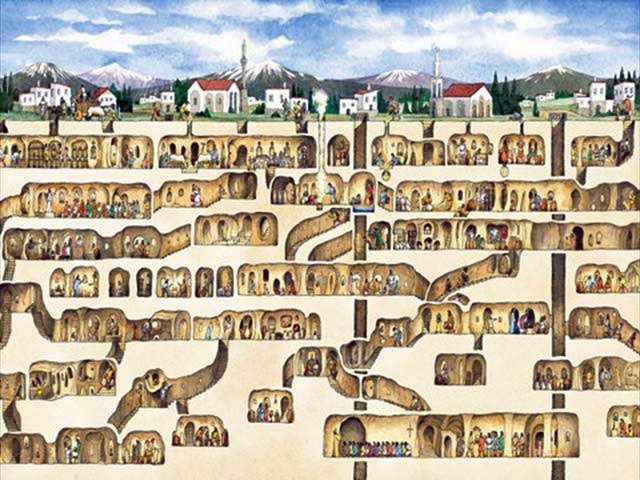 [Image: The underground city of Derinkuyu, also mentioned in The BLDGBLOG Book]. 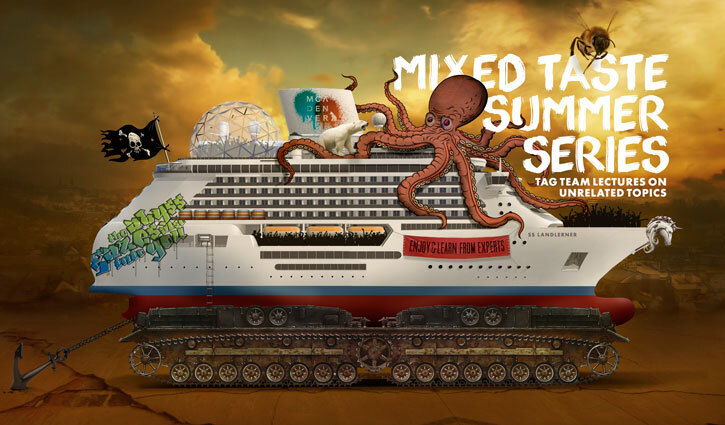 I'm heading out of town on yet another summer trip, so I wanted to give any Coloradans out there a quick heads up that I'll be speaking on the subject of "urban spelunking" at this Friday's Mixed Taste event at the David Adjaye-designed Museum of Contemporary Art in Denver. There will be two short, 20-minute lectures: one by myself, on the subject of the underground, from contemporary London and the Mole Man of Hackney to ancient Cappadocia and Moscow's Metro-2; the other lecture will be an unrelated talk by Chef Jorel Pierce on the subject of "blood sausage." As the Museum writes, these are "tag team lectures on unrelated topics." You can buy tickets here. While I'm on the subject of Denver, Nicola Twilley from Edible Geography will also be speaking at the MCA this weekend; she'll be part of the Colorado Cocktail Project, a "two-day event where Colorado’s bartenders and distillers compete to create a signature state cocktail, made from Colorado spirits." You can get tickets for that here. I understand you have an immensely busy schedule - so if you are unable to help at this time, I understand completely. Thanks for your help! Caught you in Denver, you were great! I really enjoyed your talk and hope that Denver treated you and your gf well. I am starting my masters program and am interested in all things atomic. One fascinating aspect of it, for me, is the development of bomb shelters. Individual and community size shelters. Nothing more to share yet except to say that I found a couple interesting links relating to this via your website so thanks and keep up the good work! Attended your talk in Denver, nicely done although I would have liked to hear more about your thoughts of the fear/attraction of the urban underground as the unknown. Any thoughts on the MCA building?